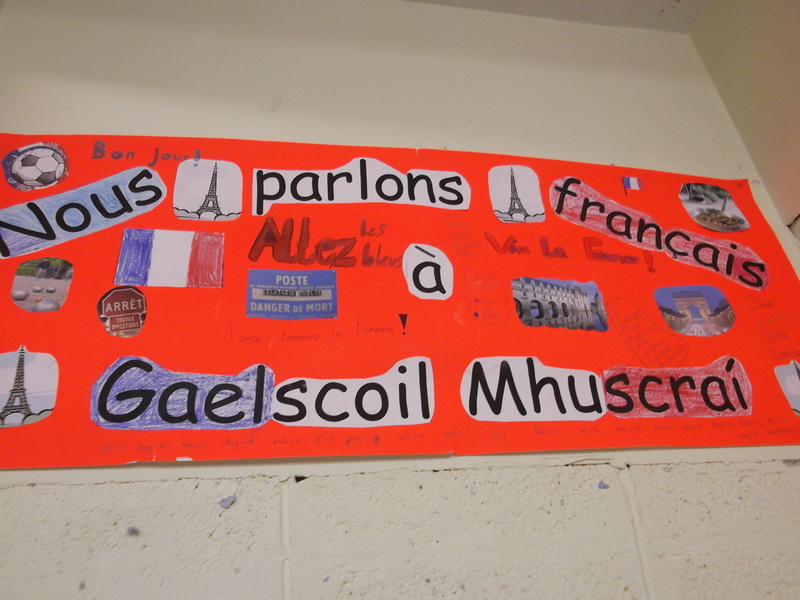 Cad é an Clár Réalt Gorm? 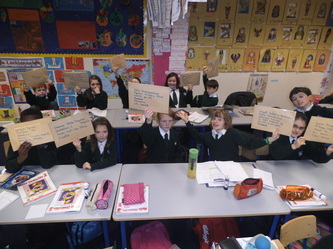 Is scéim oideachasúil é an Clár Réalt Gorm do pháistí bunscoile in Éireann. 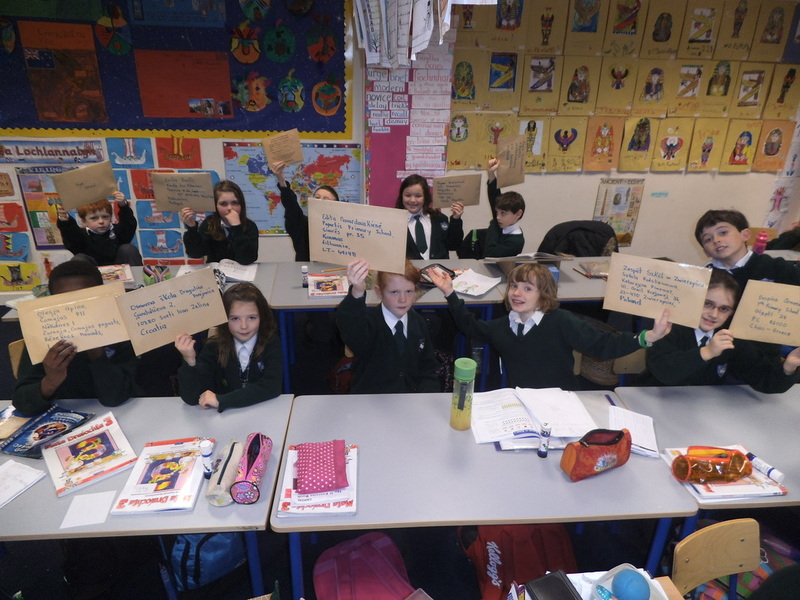 Is é atá i gceist leis ná tuiscint agus eolas ar an Aontas Eorpach a fhorbairt agus conas go bhfuil éifeacht aige ar mhuintir na hEireann i measc páistí bunscoile trí ghníomhaíochtaí agus tionscadail ranga. 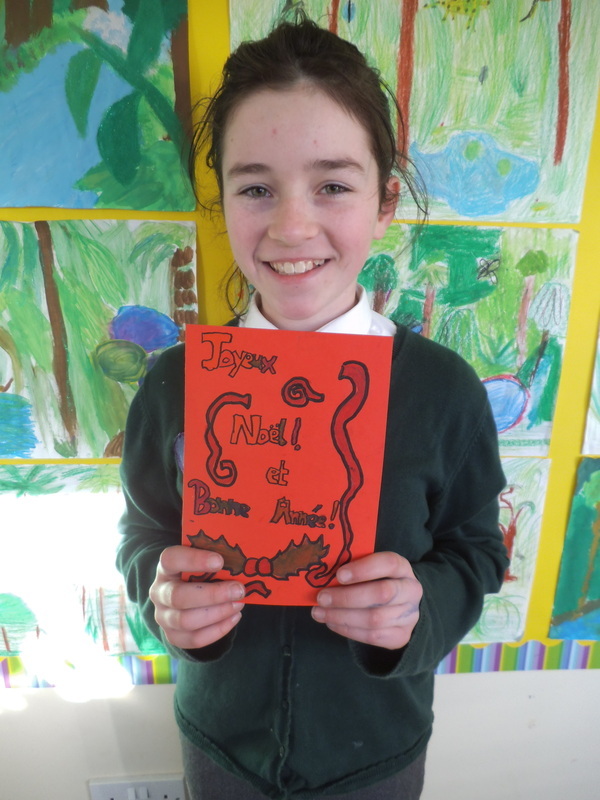 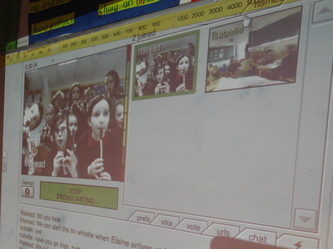 Blue Star Programme is an education initiative for primary school students across Ireland. 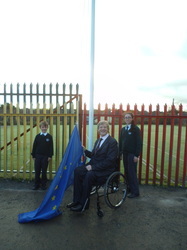 The idea of the Programme is simple: to foster better understanding and knowledge of the European Union and how it affects the lives of Irish citizens among Irish primary pupils through classroom projects and activities. 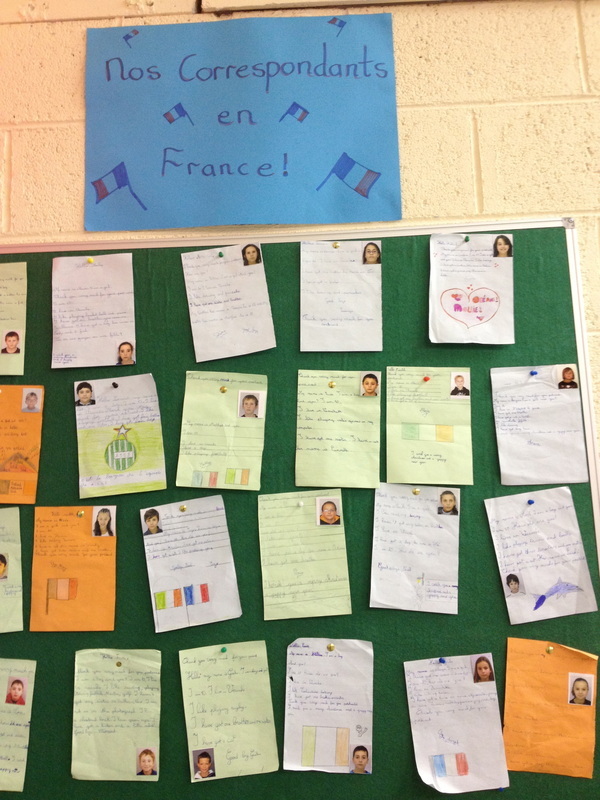 Cad a dhéan an scoil? 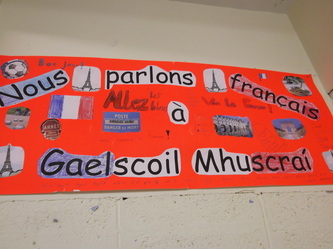 Tá Gaelscoil Mhuscraí taréis brat don Chlár Réalt Gorm a bhaint amach toisc an méid obair scoile atá ar bun againn chun an tAontas Eorpach a cheiliúradh. 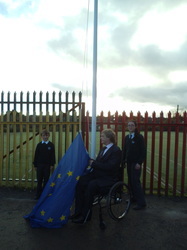 Dhéan páistí na hárd agus meánranganna tionscadail ar bhunús, forbairt agus tíortha an tAontas Eorpach. 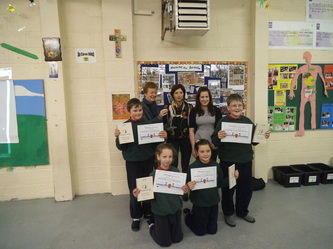 Múintear teanga eile na hEorpa, Fraincís, sa scoil i dteannta comhfhreagras le cairde pinn Fraincíse. 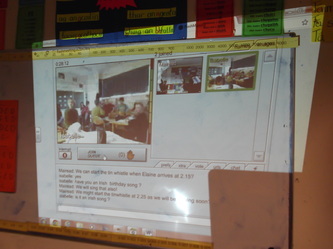 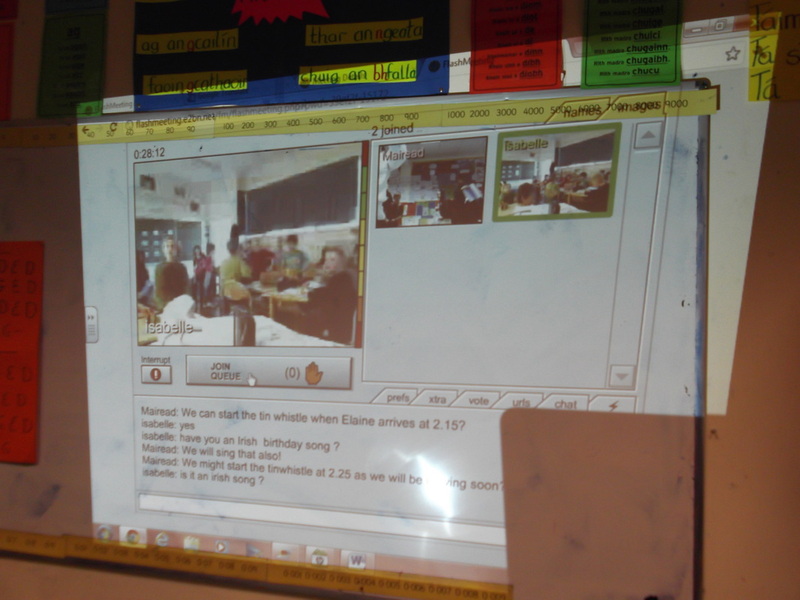 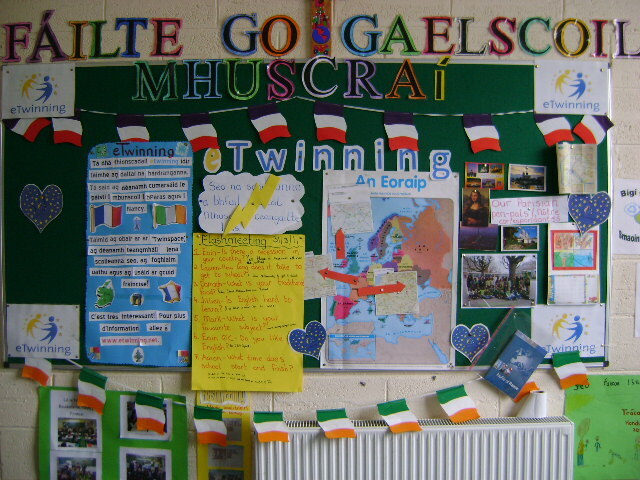 Glactar páirt in an-chuid tionscadail eTwinning agus cruinnithe ar líne le scoileanna eile san Eorpach. 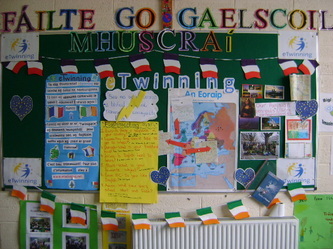 Deantear ceiliúradh ar Lá Eorpach na dteangan agus Lá na hEorpa gach bliain. 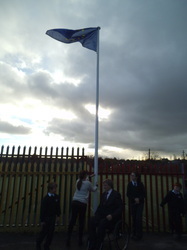 What did our school achieve? 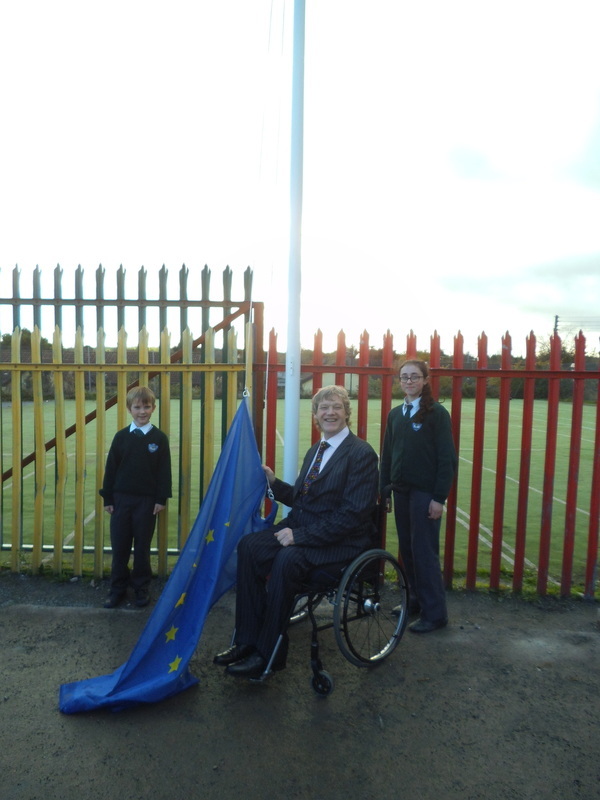 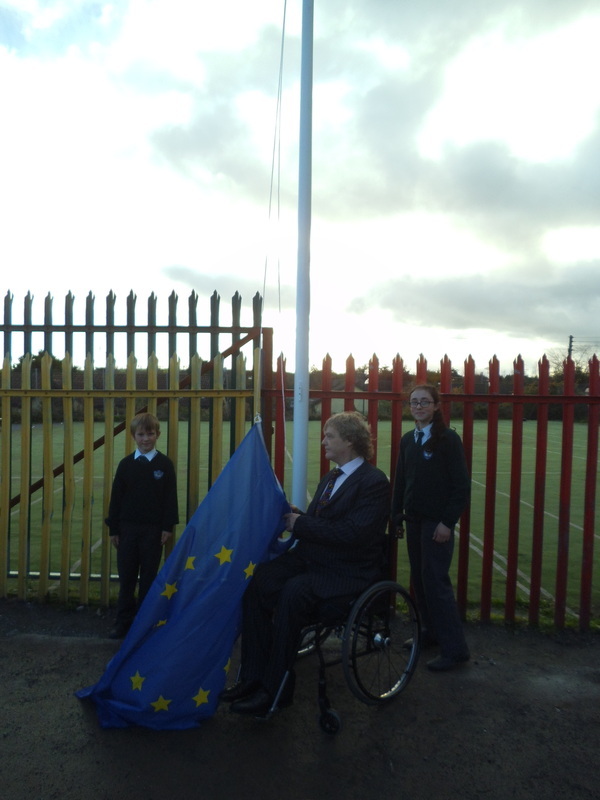 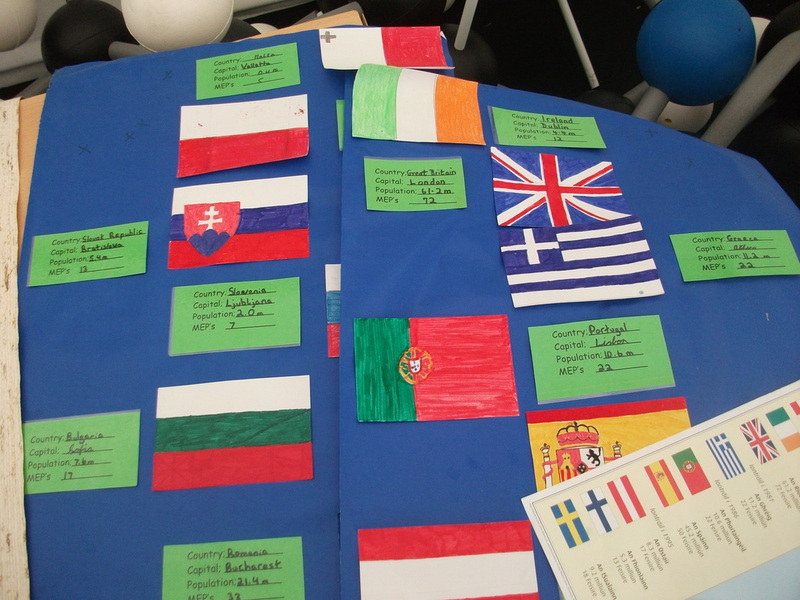 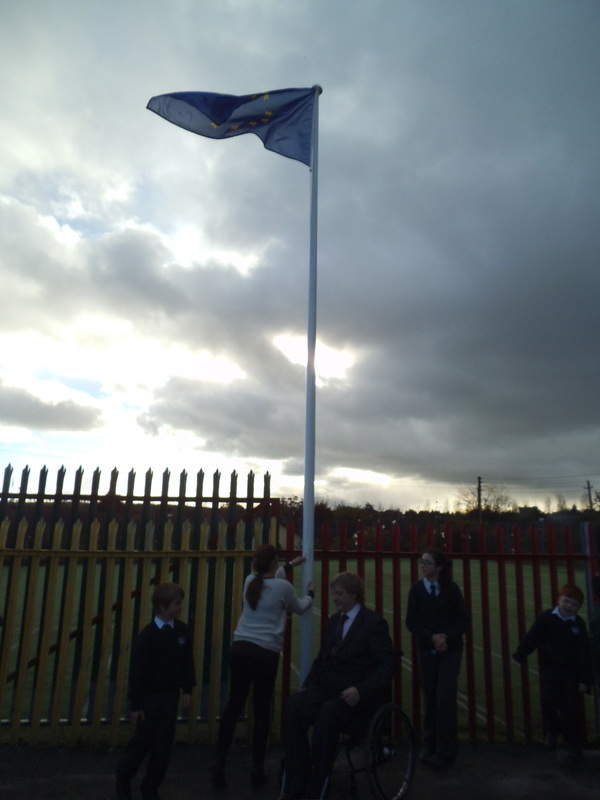 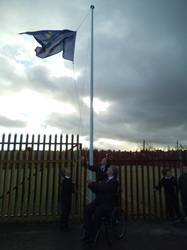 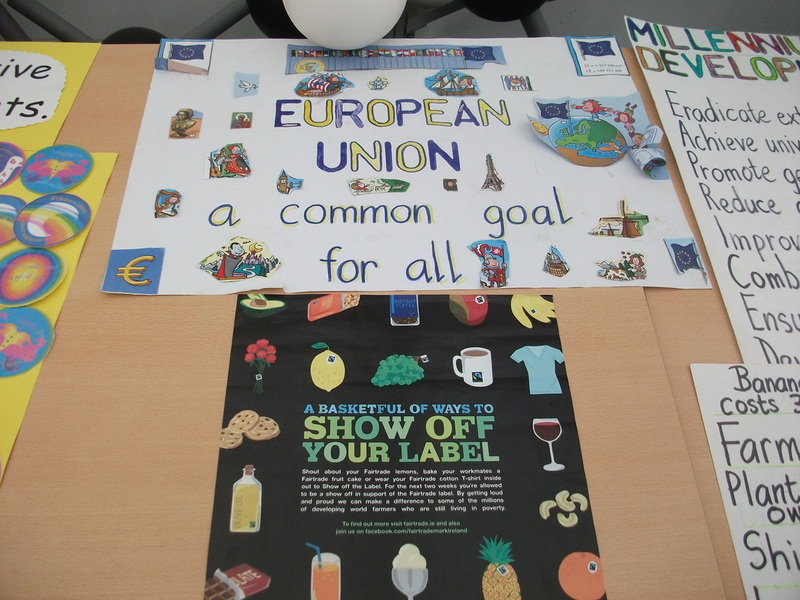 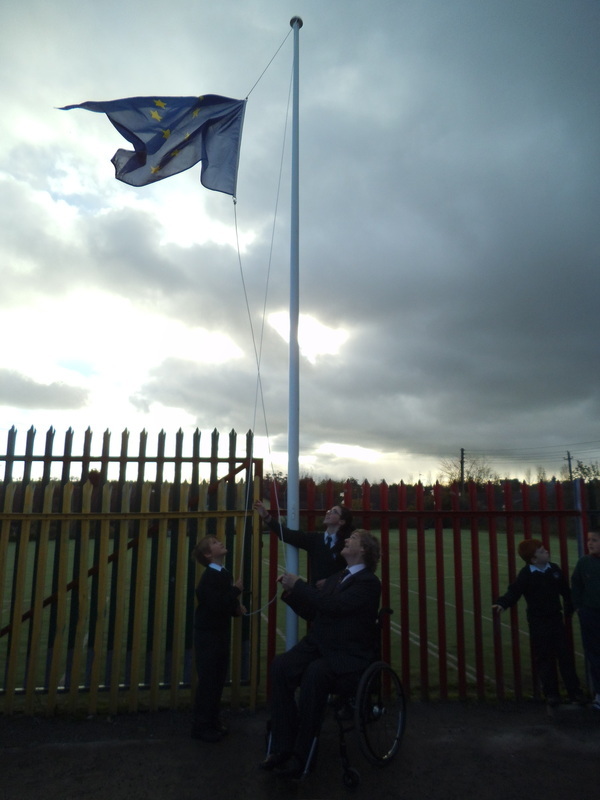 Gaelscoil Mhuscraí achieved a Blue Star Flag in 2013 as a result of the wealth of work undertaken in the school to learn and celebrate all aspects of the EU. Senior and middle classes carried out project work on the foundation and development of the EU and on various EU countries. 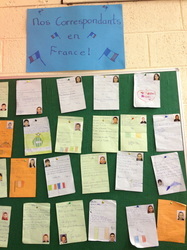 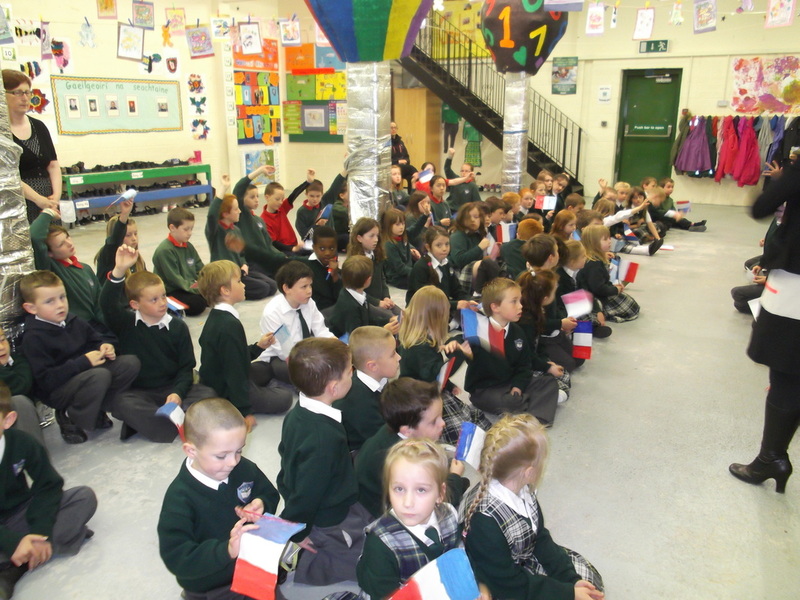 Another European language, French, is taught in the school and senior classes have French pen pals. 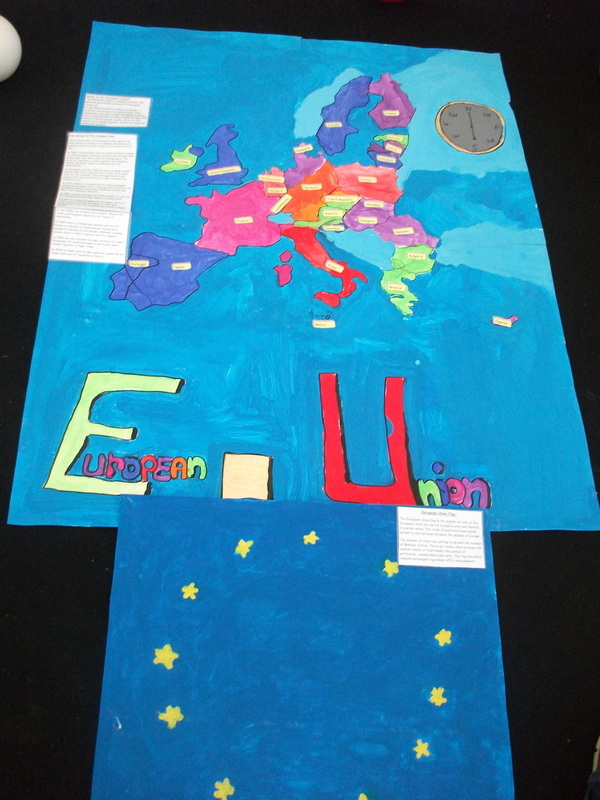 Many links, videoconferences and letters have been sent through our eTwinning project work with schools all across Europe. 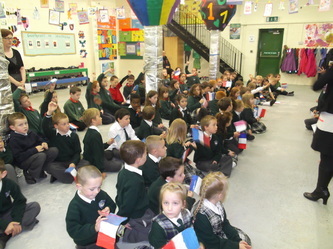 We celebrate Europe Day and the European Day of Languages every year.